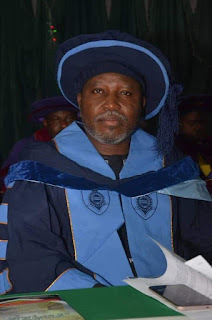 A university Don, Dr Olusola Atilade Adeeyo has expressed shock and disappointment over the statement credited to former president, Chief Olusegun Obasanjo. Adeeyo who is a Chieftain of the All Progressives Congress APC in Osun made this expression during the monthly meeting of indigenes of Ejigbo, while reacting to the letter written by OBJ to PMB where he called the incumbent an autocrat. The member of the governing board of ASCON said He was surprised that Former President Obasanjo called himself a democrat. "May be there is a new definition for being a democrat in the dictionary as the antecedents of Obasanjo negates such terminology"
"There is nothing Obasanjo accused Buhari that he (Obasanjo) is not guilty of. He organized the most fraudulent elections during his time especially in 2003 and 2007. It was on that premise the Late President Musa Yaradua even admitted publicly that the electoral process which made him president was fraudulent. "OBJ is suffering from old age associated with memory loss. He should allow PMB to continue with the good foundation he had already laid for a new Nigeria, the opportunity he had between 1999-2007 which he blew away was a colossal and generational waste . Baba OBJ is seeking for last minute relevance, as his grave errors are haunting him and does not wants to go to jail. The new Sheriff, Muhammadu Buhari, Baba No Nonsense is in town, and every fraudulent politician including is catching cold." he concluded.